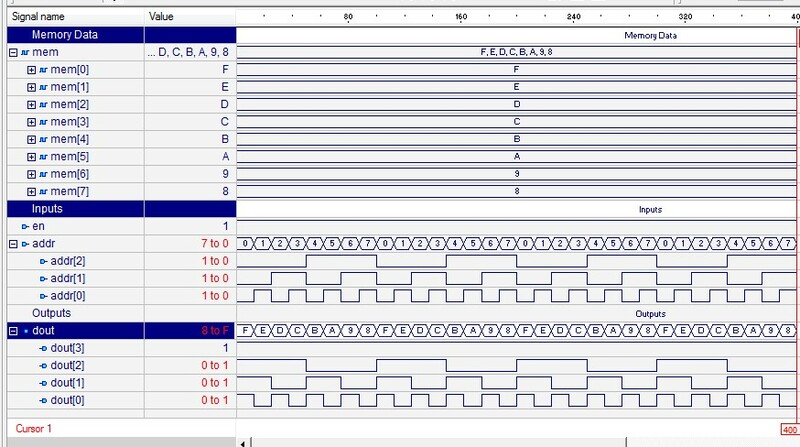 Design of 8 Nibble ROM (Memory) using Behavior Modeling Style (VHDL Code). Output Waveform : ROM (memory) (8 nibble). -- VHDL Programs & Exercise with Naresh Singh Dobal.